Kid Ink shared a picture of his neck and face tattoo. 14. 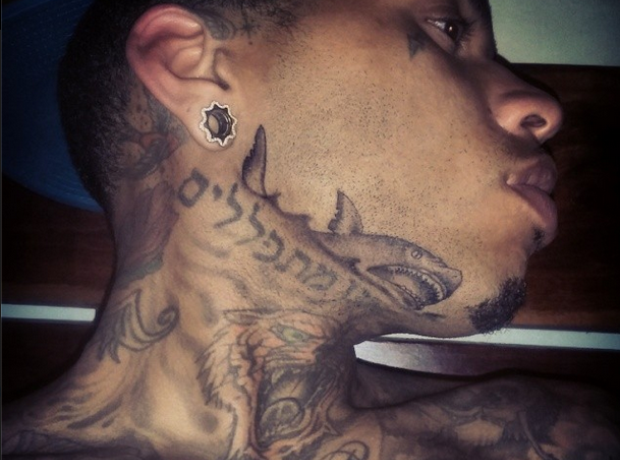 Kid Ink shared a picture of his neck and face tattoo.